On Thursday 8 June 1967, Israeli air and naval forces attacked America’s most advanced spy ship, the U.S.S. Liberty, killing 34 of its crew and wounding 174. The lesson of this cold-blooded, murderous attack was that there is nothing the Zionist state might not do, to its friends as well as its enemies, in order to get its own way. As it happened, the institutions of government in America did not succeed in keeping the truth covered up because there were eye-witnesses who would not be silenced. They were the survivors of the Liberty’s crew. The first prime source of the detailed information about the actual attack is the book Assault on the Liberty. It was written by Lieutenant James M. Ennes. He was the Officer of the Deck on the Liberty throughout the attack. Second: As Stephen Green noted, “The IDF command did not have to consult Jane’s Fighting Ships to learn about the eavesdropping capabilities of the Liberty.” Israeli military intelligence had a very close working relationship with both the CIA and the U.S. Defence Department and knew well that the Liberty could listen to the movement orders for IDF units – movement orders that, on the evening–morning of 7-8 June, would be concerned with rushing units from Sinai to the northern Galilee border with Syria, in preparation for an invasion. But for obvious domestic political reasons Johnson was not going to do that. Instead, and no doubt at the urging of Walt Rostow and others with influence who were for Zionism right or wrong, the President approved the sending of an order for the Liberty to get away from Israel as fast as possible. Over the course of two and a half hours, three frantic messages to that effect were sent, each rated “Pinnacle”, which meant highest priority. Incredibly, none were received by the Liberty. By chance the Saratoga was conducting an exercise when it picked up the Liberty’s message and four A-1 Skyhawks were launch-ready on its decks. Captain Tully was handed the Liberty’s message by Navigator Max Morris. After a brief discussion with him, Tully ordered the Saratoga to head into the wind. Less than 15 minutes after the start of the Israeli attack, armed U.S. planes were in the air. The estimated flight time to the Liberty was about 30 minutes. The unthinkable – a confrontation between U.S. and Israeli warplanes – was, it seemed, about to happen. “Mr. President, I must say it is a great tribute to the valour of the troops of Israel that this morning I have heard Senator after Senator say that while they were terribly dismayed and saddened by this accident, they understood how it could take place under the terrible stresses the forces of Israel have been under in these last few weeks.” (i.e. because the Zionist state was, allegedly, in danger of being exterminated). So far as I am aware, the question nobody has attempted to answer in public is this: Who was the Israeli general who opposed Dayan’s decision to attack the Liberty and said it would amount to “pure murder“? As it was happening Rabin was opposed to the IDF’s gobbling up of the West Bank. At a meeting of senior officers with Dayan present, Rabin had asked, “How do we control one million Arabs?” He meant: “We won’t be able to. The idea of occupation is madness. We could well be sowing the seeds of catastrophe for the Jewish state.” The only response Rabin got was by way of a correction. A staff officer said: “Actually it’s one million, two hundred and fifty thousand.” As Shlaim noted, Rabin had asked the question to which no one had an answer. The real point was that nobody in the military high command except Rabin wanted to think about the implications of what the IDF was doing. More Arab land was there for the taking, so take it. Rabin was opposed to an invasion of Syria. In his memoirs he wrote that Dayan ordered the attack on Syria “for reasons I have never grasped.” In my analysis that was Rabin pulling his punches. He knew why Dayan ordered the attack on Syria – to take the Golan Heights to complete the creation of Greater Israel; but he, Rabin, was not going to say so except by implication. When the prime minister learned that Dayan had ordered the attack on Syria without consulting or informing himself or Chief of Staff Rabin, he thought about cancelling the order and said of Dayan, to his aide-de-camp, “What a vile man.” That quotation was unearthed by Shlaim. What could have made Eshkol resort to such extraordinary language? My guess is that use of the adjective “vile” reflected most of all the prime minister’s horror at Dayan’s ordering of the attack on the Liberty. With the Liberty taken out of the equation, the first indication official Washington had of Dayan’s intentions thereafter was in the form of a “flash” telegram to Secretary of State Rusk from Evan Wilson, the U.S. Consul General in Jerusalem. (“Flash” was the highest precedence designation for State messages). Quoting the UN’s General Odd Bull, the telegram said that Israel had launched an “intensive air and artillery bombardment” of Syrian positions, and that Wilson assumed it was a “prelude to a large-scale attack.” That message was sent, flashed, at about 1530 hours local time, just before Dayan ordered the MTBs to finish off the Liberty. An argument followed. Nasser insisted there was no going back on his decision. “You are now responsible”, he said to Mohieddin, “you cannot refuse.” Mohieddin gave as good as he got. He told Nasser that he had no right to choose his successor. Only the National Assembly could decide who would be President. A week earlier, in the first moments of the war, Foreign Minister Eban had launched the lie with an equally remarkable and astonishing statement. In the course of his assertion to reporters (including me) that Israel was acting in self-defence, he said: “Never in history has there been a more righteous use of armed force.” In retrospect, it could and should be said that never in history has a country’s foreign minister talked such nonsense. Thereafter Israel’s ambassadors around the world spoke from Eban’s script. In April 1966 U.S. Assistant Secretary of State Raymond Hare was sent to Israel to plead with Prime Minister Eshkol. Hare told him that the Vietnam problem was “now the touchstone of American foreign policy”, and that the U.S. government considered closer relations between Israel and the Thieu government to be “important.” Eshkol still said “no”. He stuck to the line that Israel’s relations with Asian and African developing nations would suffer if Israel supported America’s war in Vietnam. And that gave Zionism’s power brokers an opening to do some manipulating. They chose their moment well. On 7 June, the third day of the war, David Brody, Director of the Anti-Defamation League, was instructed to call at the White House to speak with two of President Johnson’s staffers, Larry Levinson and Ben Wattenberg. The Jewish community of America, Brody said, was concerned that the administration should not force Israel to “lose the peace” after it had won the war, as had been the case with Eisenhower after the Suez war. The reality was that Zionism’s power brokers were concerned that President Johnson might not yet be fixed in his determination to prevent Israel being required to withdraw unconditionally from occupied Arab territories. Brody went on to suggest that in future public statements on the war, the President ought to stress the “peace, justice and equity theme”, and should specifically not mention “territorial integrity” (as he had done in his pre-war statements). Levinson and Wattenberg then wrote a memorandum to the President quoting Brody’s advice and saying that it was good. “It could lead”, the memorandum stated, “to a great domestic political bonus – and not only from Jews. Generally speaking, it would seem that the Middle-East crisis can turn round a lot of anti-Vietnam, anti-Johnson feeling, particularly if you use it as an opportunity to your advantage.” Translated that meant the Zionist lobby in all of its manifestations would do its best to see that Jewish American opposition to the war in Vietnam was stifled – if President Johnson stuck to his guns and did not require Israel to withdraw without conditions as Eisenhower had done. “In February of 1987, I found out about Post Traumatic Stress Disorder (PTSD) while watching a Simon & Simon episode. I finally called the VA hospital in Long Beach. They said they did not do the necessary treatment at their facility. The closest Vet Center to me was 5 blocks north of Disneyland. Within a month of being able to talk about the Liberty both blood pressure numbers dropped 30 points. In the late 1990′s I came down with Type II diabetes. While my doctor says stress is not the cause, he believes stress has contributed greatly to the severity of the disease. I too have studied this affair and I am amazed at the total lack of interest anywhere for revisiting this matter and assigning culpability appropriately. Except among the survivors, there is little interest in the anti-Zionist community. I tried dredging up this matter by signing letters and notes "Remember The Liberty!" but to no avail. I wrote to the Dept of the Navy etc. Nothing. I am personally not so shocked that Israelis engaged relatively defenseless Americans as combatants as I am by the size and scale of the cover up! Israel is a land of lies and it just figures that they would just as soon sink an American vessel as look at it. I can only imagine what Israelis say about the US and naive Americans in private, but it is certainly not pleasant! It is the complicity of MSM and government and Zionists at all levels at every stage that confounds me most. Usually I take conspiracy stories with a grain of salt contending that conspiracies rely upon other people and other people are typically not reliable, hence the conspiracy comes undone. But this thing has gone on for decades without noticeable change. If ever I believed in a Jewish conspiracy to, perhaps, rule the world, or rule the US, this thing would give it some teeth. How did they pull it off and how do they continue to pull it off? Anyone? I couldn't stop reading it. I was stunned by the enormity of the criminal and heartless murder committed by, not only the the Israeli forces, but the President who hadn't got the balls to stop it. The admiral in charge of the American ships should have been shot. It's a similar story to the Bay of Tonkin. If the people of the west don't take note of what has happened in the world in recent history, then, what is going to be our future history. We're being used like pawns on a chess board. More of this shameful cover-up can be found at the Wikipedia, where a small group of editors, with full administrator backup, have forced the article to follow the Israeli narrative. Even published Liberty survivors have been driven off in frustration and despair. However, all that could change because Wikispooks are running the same software and producing a much more promising article, see http://www.wikispooks.com/wiki/USS_Liberty_Incident (Sadly, there is also rather too much opinion in the version there at the moment). This is a golden opportunity to collaboratively write a balanced article that will really put Wikipedia to shame. One day soon the Wikispooks version will become the master version. All it needs is people who will be fair and careful what they edit into it. I am just a common Venezuelan folk, with no ties to jews, arabs or U.S.Americans. And I feel nausated by this story of sordid crime and lies. Nausated by the behavior of Johnson, Eban, those commanders who let down the people under their care. At this moment, I see human affairs with greater pessimism. Alas for us, common people, who are "treated like straw dogs" by the powerful. Phillip Knightly has written a book "The First casualty" (1975) which claims that the first casualty in ANY war is "truth"
"If ever I believed in a Jewish conspiracy to, perhaps, rule the world, or rule the US, this thing would give it some teeth. How did they pull it off and how do they continue to pull it off?" David. Not really a Jewish conspiracy, but as Alan points out, a Zionist conspiracy. Take a look at the idea as it is written in the book of Revelations, people calling themselves Jews but who are not, but are of the synagogue of Satan. For something like this to have happened with the silence of the MSM, then you have to really see that the MSM is controlled by Zionist's, congress has dual citizenship of those holding a second citizenship with Israel and that so many others are out right Zionist's in our government offices. It does not stop there. They are in government offices in the UK/France/Germany and so many other places that to pull them out of their hiding places is a monumentous task. Google the question about who those people are that are in our congress that hold dual citizenship with Isreal. Seeing how many there are might give you an understanding of just how they keep this ball rolling. And, besides, we are not 99% against a 1%. 98% of them don't care and won't do anything to save their own souls. The other 1% I left off of that number are those that go out to do this dirty work for those running this government. Your family members, friends and neighbors are doing it all for that paycheck. Damn be the rest of the world as long as I get a paycheck. Jamesat17: If I were inclined to conspiracies, I would naturally hit on the Zionist conspiracy. Certainly, the US is in the hands of Zionists as they populate key positions throughout government. There are US citizens everywhere who know that Zionists have taken over, i.e. we are not alone. Let's just organize as an anti-Zionist organization aimed at ridding the US government of officials with dual citizenship or something like that. Why country like The U.S doesn't do anything against such these things while the same country show sorrow and sorry for other countries? PURE CLAIM!!!!!!!! as it shown indeed. Please add me to your email list. I did not find anywhere else to subscrie. The Israeli attack on USS Liberty was pre-planned to get the US involved in the Israeli aggression against its Arab neighbors and divert world's attention from the illegal Jewish occupation of Palestine. The deliberate attacked was hushed-up by president Lyndon Johnson who was having an affair with a Mossad female agent - and Sen. John McCain's father Admiral John McCain. As I sit here, wearing my USS Liberty shirt, purchased years ago from the survivors organization, I find myself hesitant to comment, wondering if my comment brings me openly afoul of the powerful who continue to lie and hold traitorous interests above those of my own country. I call that treason, and understand the US now has characteristics of a Potemkin village, keeping my unfortunate compatriots in the dark and ignorant, for the use of evil. Thanks for your bravery and even handedness Mr. Hart. Your perspective helps to clarify my own objections, and save righteous indignation from the slander 'anti-semite'. Read with care full! who? loves us goverment!! I have not read the whole post (it is very long); but I would like to make a few points. Firstly, above all, I want to say that I have no respect what-so-ever for the survivors of the USS Liberty. They are not heroes; they are cowards of the first degree. What Mr Hart will be acquainted with; is that these survivors want nothing to do with the other victims of zionism. They have made it clear that they will not condone the USS Liberty incident to be listed with the numerous human rights and war crimes perpetuated by zion. Their wish is to be considered separate and to have their grievances prioritised. They are content to turn their backs on Palestinian children and those poor people in the whole of Middle East. That is not their fight. It is merely the sting to their perceived worth, which provides the impetus to their continued outrage. Secondly, I feel the USS Liberty story provided has been sanitised for general consumption. It is inaccurate. We have witnesses in the form of seamen stationed on board the Saratoga. Men who heard every word by Johnson. What he wanted, was in, with the intention of launching nuclear war against Egypt. Those plans were thwarted by the zionists, because they were unable to sink the USS Liberty. I believe that the reason the USS Liberty was ordered into the region was because it was expendable and unarmed. Not to spy on the zionists, who Johnson was in continuous contact with, and was co-operating with. The zionist torpedo boats fired time and time again at point blank range. And yet repeatedly missed. We also have on record statements made by one of the zionist torpedo crew and an airman in one of the attacking planes. They freely admit that they knew it was an American ship and both clarified several times that they were to fire before they did so. The torpedo boat crewman states that he missed many times because they had no experience or training on these boats. Lastly, I'll state the elephant in the room. There are clear parallels between the USS Liberty incident, in regards to US and zionist co-operation, and with 9'11. Likewise with Britain's 7/7. Some day, we might find out that Israel was behind the attack on USS Cole in Yemeni waters. In 2000 Yemeni government of Saleh had accused Israeli Al-Qaeda behind the bombing of USS Cole. There isn't a single form of deceit, self-serving fraud and criminal doings that hasn't been broached by Zionists. It would not surprise me if the USS Cole was somehow connected with MOSSAD and those other criminals. @David. I personally doubt that mossad was involved. For if they were, we would have read about it in the international newspapers or viewed them on CCD video footage. I would not rule out however, the use of israel "assets." Those unfortunately events happen in wars. 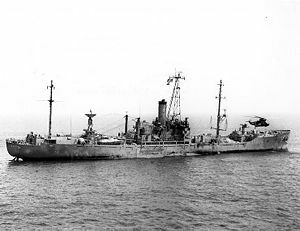 Some questions: What did a USS Liberty do in a war zone without coordination with Israel? Could it be that the Liberty (which was a spy vessel)was spying on Israel..and pass on information of the Israeli Army's movements to the Egyptians? Probably, since partly coded messages and conversations in Arabic have been recorded coming from the Liberty. My opinion is that the Liberty did indeed spy on Israel, passing on information to the Egyptians. Deliberate act of hostility by all means! It was not the first time the US betrayed Israel and many times ever since.. The 6 day war could have been averted had the US lived up to their promise to intervene militarily in case the Egyptians would close the strait of Tiran. This was an integral (and US obligation)part of the conditions for Israel's retreat from the Sinai following the French-British-Israeli war against Egypt 1956. The USA and Israel finally agree on a joint conclusion of that event stating a mistake and accident..just because it would have been otherwise very embarrassing for the US to have spied on Israel, collaborating with the Arabs and for Israel to have deliberately attacked a US Schip. Michael Dar - Thankyou for stating the obvious, that Israel did indeed carry out this attack deliberately. You seem happy for Israel to deliberately murder US servicemen. My personal belief is that the US Navy and other forces were treating Israel as dangerously unpredictable and untrustworthy. The safety of the US and of other friends in the region required that it be spied upon. The NSA (perhaps with the State Dept) resented the way that Israel trampled International Law and threatened peace in the Middle East. They too thought it was essential to know what Israel might do next and, maybe, tell the world. Johnson wanted the interests of Israel to be paramount but he had a problem, it was proving impossible to over-rule his powerful subordinates without them coming out and calling him a traitor. So the attack on the USS Liberty, covered up by Johnson, convinced all US forces that they must leave foreign policy up to the President only. The alternative was an accident happening to them. However, that does not explain why Americans allow these fifth-columnists (right up to the President) complete freedom to betray their fellow Americans. Dar is just repeating the Israel government line. The US State Dept wanted Nasser gone and would not interfere with Israel as long as Israel kept the promise to steer clear of Syria. The Liberty was there to see if Israel was keeping its word, which Dayan was not (how typical is that!) Dayan must have been surprised that the State Dept would attempt to monitor the situation after he gave his word! So, he set out to teach them a lesson. Nobody in the US thought that Israel would, under any circumstance, assault a US ship. Dar -- what other US betrayals of Israel can you cite? I am willing to bet they are hasbara designed to allow Israelis to exploit US resources without any commitment, which is exactly what we get from Israel. Davey Wavey..You obviously didn't read my post. The spy ship Liberty was there for the real reason the State-Dept. will never admit publically, that it passed info to the Arabs about Israel's military movements! Israel had intercepted proves of US-Arab cooperation and conivance. This made the Liberty suspect and a legitimate target. There is no prove the US wanted Nasser out, fact indicates otherwise, they would not have forced the British, France and Israel to stop their 1956 offensive against Nasser (which saved him). The US State-Dept. asked Israel in 67 not to start the war against "any" Arab state notwithstanding the fact that the Arabs took hostile steps which were a tacit declared of war: massing troups in the Sinai, request the UN peace keepers to leave, costituted a unified Arab military command (Egypt, Syria, Iraq, Jordan, Saudi-Arabia etc.) incorporation military contengents of other Arab armies like Algeria and most and for all the closure of the strait of Tiran..that alone constituted a declaration of war! US and Israel tried to miniminize the incident by a compromise "accident-mistaken identity of the ship" because both parties were equally to blame for the mishap. US for spying and pass info to the Arabs and Israel for deliberately attack the vessel..Incident closed! Only Israel and Jew haters want to keep the wound open to vilify Israel..as it appears in the many posts here..
Dar -- First, let's be clear: One doesn't have to go far to find plenty of material for "vilifying Israel." Israel has rightly earned the contempt of peoples and governments the world over, many times over. Second -- you are stuck with a very telling, very revealing contradiction. On the one hand, the US (Eisenhower) had the clout to turn back the Brits, French and Israelis at the Suez Canal but, on the other hand, the US did not have the clout to stop Israel from "defending" itself by assaulting the Arabs. Doesn't compute. A more sensible view -- Israel would not undertaken wholesale aggression against the Arabs without US sanction. If Israel were to go it alone, it would truly have had to go it alone thereafter with respect to US support, something we know has not happened at all. Let's also be clear: Israel cannot go it alone. So, your story doesn't work. What does work without much of a stretch is a picture of Dayan as an egotistical impulsive commander who was simply not going to tolerate oversight by the US and would want to teach them a lesson. This makes sense. As always, the effort to ESCAPE vilification by Israel never ever results in good behavior. Rather, it results in lies, some so fantastic as to be laughable. Imagine the lie of "the Arabs were told to vacate the country and so they left of their accord." For this to be true we would have to believe that Arab leaders and Arabs themselves were somehow inclined to give to the Jewish invaders just EXACTLY what they wanted -- the dispossession and "transfer" of the Arab population, give the Jews the land. This is an impossible thought. It is a breathtaking fabrication. And there are others, as well, including your bizarre rendition of the Liberty incident that does not synch with any of the history of the time, including the happenings in the State Dept and the Johnson White House! The US told Israel not to start a war despite provocations. And, yes, the Arabs took steps that could be seen as provocative and used to justify a war (much like the bellicose Israeli government today threatens to attack Iran very loud and insistently. These remarks could be used by Iran to justify an attack on Israel!) There was never any question that Israel and therefore should not initiate war. The State Dept thought it would take five days but, alas, Israel was a little inefficient and took six! Having initiated war, despite the US position not to, Israel cast itself outside the pall, made itself suspect and this took the form of the US monitoring the war with respect to other Israeli promises...namely to leave Syria out of it. Oops! "never any question that Israel WOULD WIN..."
Most of those who are expressing themselves in those commentaries have already from the start a biased anti-Israel attitude. Their hatred for Israel-Zionism and probably the Jews would be the same without that decades old Liberty affair. It gives them, in their opinion some "moral justification" to crack down on Israel and the Jews. The actual State Dept. (like most of you..) dumped Israel and went instead to bed with the Arabs, Islam and the Brotherhood...and the tragic results can already be seen, the crazy regime in Iran becomes nuclear, US Muslim military personnel shoot their fellow soldiers (screeming Allah U-Ahbar), the whole Middle-East turns fanatically Islamic, anti-Western, Christians are persecuted and killed all over the place, your Embassies are attacked, your Ambassador etc. are massacred and you find nothing else to do than going with rage after the sole reliable and real ally you people have in the bloody Middle East..How ridiculous is that? Dar -- how convenient! We are all now anti-semites! What a new and refreshing take on criticism of Israel! Same old. The novel thing with you, however, is the US/Arab connection story which has no correlation with the facts at all. You say it but the contradictions in fact are overwhelming including party politics in the US, "foreign aid" for Israel (about $10k per Israeli per year!). Over 40 vetos in the Security Council of motions condemning Israel...the list is long and very long. You position is just bizarro. Ultimately the only rational remaining explanation for people's pathological dislike of Israel-Zionism and/or the Jews remains deep down that stone age old anti-Semitism..and any event which can be used to express it seems to be legitimate. Also for your information there is no free meal in this world the "so-called support" of the various US Administrations were only motivated by what they considered being in their best interests. The almost half a century old Liberty story has been used over and over again to viciously discredit Israel. That "mishap" is insignificant comparing with to the enormeous benefits both allies enjoyed since..such as close military cooperation, intel-sharing, joint weapons systems development etc. Dar. Nope, wrong again. The Liberty was a deadly assault on an ally's unarmed vessel and the attack was intended to destroy the ship and all the American sailors. All accounts agree on the nature of the attack. If one says "It was a vicious attack by Israel..." you want to say that this is said only as an expression of anti-semitism and not an expression of outrage at the assault. The statement, however, is clearly simple outrage at the assault and that is the thing you must deal with, not the anti-semitic gloss which you impose on the statement. As for anti-semitism: Zionists are fond of saying that anti-semitism is an irrational dislike of Jews. Jews therefore never have to ask themselves what it is about them or their behavior that may be wrong or distasteful. It is very possible that Jews do exhibit behaviors that annoy other people and the resulting dislike (the anti-semitism) is not irrational at all. But no Zionist writer about anti-semitism has entertained the possibility that Jews are disliked for good reason! But, the anti-semitism that you conjure up is an invention of Jews and it is used to justify "exceptionalism" in Israel's policies and Jewish behaviors. If Israel is surrounded by anti-semites then Israel can try to justify killing anyone and everyone, just as it is doing with Iran now. It does not occur to Israel that it is universally loath for very good reasons and that this loathing would abate if Israel recognized the rights of others, and began the long process of dispensing some justice to Palestinians. Guys like you see anti-semitism -- not Israel's misdeeds -- everywhere, invoke exceptionalism to do more killing and then wonder why the world loathes Israel. Two things then: (1) the assault of the Liberty was deliberate and vicious and Israel must be held to account for it and (2) anti-semitism is not necessarily irrational or stone age, there may be perfectly valid documented reasons for disliking Jews, or at least Israelis. I know I do and I have a long list of good reasons. And.. the Liberty story is not used to discredit Israel, it does discredit Israel. There is no end to it because, like the ripoff of Palestine, Israel evokes no end to it. The case won't settle until it is accounted for. So, in a sense, Israel continues to discredit itself by not adequately explaining and taking responsibility for the assault. As always, Israel would rather this chalk it up to "anti-semitism." Israel did set out to sink an American ship. Thankyou Michael. So, Michael, what's the answer to the 2nd question? Why did President Johnson cover it up? Why did he recall the jets and hold an "inquiry" that wasn't? Shouldn't the American people know if a traitor was serving in the White House? In my posts I stated my personal view of what may have caused or conditions which lead to the Liberty's, which is not necessarily what really happen or 100% correct. It should be viewed as such and which is certainly not less rational or valid than your folk's questionable conspiratorial version of events. The US authorities investigated the matter as did the Israelis..and came to a common conclusion which should have settle the matter once and for all. The fact that 45 years later the Liberty still makes waves..shows that it is not so much the incident which really matters but reflexts a deeper malaise in some peoples minds..which I described as a classic example of hostility to whatever is Jewish, Israeli, Zionist etc. Prove of it is the unrelated reference to the Arab-Israeli conflict and to what you consider injustice against what you call the Palestinians. First of all there was never a sovereign country called Palestine, nor was there ever any specific, exclusive, distinct ethnic group of people called Palestinians..that is before it was invented (idea from the KGB)and promoted by the Arabs for political reasons only a few decades ago. The Jews and Israel by extension have the historic, moral, spiritual and indeed the legal right on the land some, by ignorance or by deceit call Palestine. I suggest you folks concentrate and address much more urgent matters like the rampant but fast progressing influence of Islam in your administration, find out who really is the actual President, who's first move was to apologize for America's behaviour against the Arabs and Islam, bows to a Feodal Arab King and kiss the asses of scores of Arab potentates, Brotherhood scum and terrorists. Please be the Great American Nation again which once defended the Judeo-Christian Western Free World against Communism and now has a new mission and obligation to defend it against, Islamic imperialism. Michael - if you speak nicely to Alan I'm sure he'll let you edit your comment above and withdraw the admission you made. But will make little difference, everyone knows what really happened. Have a look at http://www.wikispooks.com/wiki/USS_Liberty_Incident_Reliable_Sources - almost every source except the most obvious Israeli-firsters say the same, Israel knew it was attacking a US ship. Meanwhile, we're no nearer to understanding how a traitor got into the White House. Let's not underestimate the terrible consequences (perhaps reaching their ultimate evil in the next few weeks with nuclear war in the Middle East) of a situation in which the most law-breaking and aggressive nation on earth took control of the US. The only traitor I know to have entered the White House is Hussein Obama (and with the complicity of the American people)! How convenient.. not a single of the various comments answered my questions like for instance: What did an "unidentified" fast sailing ship do in that war zone without previous coordination with Israel? Well I'll tell you.. spying on Israel, informing the Arabs on the Israeli Army's movements...and that is not a conspiracy theory! That is why the the USA and Israel concluded to an unfortunate mistake...both shared the responsability of what had happenand and prefered to settle the matter quitely. You don't even understand who really controls the US. The State Department was always hostile to Israel and pro-Arab quite a few on permanent Arab payroll..your universities received huge amounts of money over the years precisely to influence your next generations of politicians to serve Islamic interest.. facilitating the progressive but steady take over America. Cair is more influential than Aipac in the White House and State Dept. Dar -- I am familiar with the bs about Jewish "rights" and am especially fascinated with their "moral" rights, the ones you mention. It is crystal clear to any thinking person that Zionists (not Jews as such, Zionists) invaded Palestine, dispossessed the inhabitants, stole their property and their land, destroyed their homes and settle out across an area of land disproportionate with their population. These Zionist then expanded to take possession of the remainder of Palestine and to oust the indigenous people for good. And, this, for a Jewish state that nobody really wants but a handful of religious "settlers." Liberty will not go away easily, in part, because of the insidious presence of Zionists (not Jews!) in the government and the private wealth of a handful of wealthy Jews who are "sentimental" about Israel and think they are doing something good and just by allowing gangsters to run the ME and influence the US. It is incumbent on real thinking perople to continue to battle the Zionists in Israel and in the US (not the Jews!) and the Liberty is a cause celebre for us. If Israel continues to pretend it represents Jewry, then the battle may look anti-semitic indeed, but it is not. It is those particular liars that we want to expose and deride and we will do it even if, G*d forbid, they are Jewish. You are the irrational one, reducing anti-Zionism to anti-Semitism. In THIS sense alone, "anti-Semitism" is indeed irrational as you so obviously display. Dar's comments are so outlandish as to be comical. The counter argument to his absurdity of US bias for Arabs (leaving aside the State Dept. which does not run the US) is plain for everyone to see. The mere success of the Zionist program in making a state (however dependent that state) of a mere 5 million Jews now on the whole of mandate Palestine, getting rid of armed Arab states opposed to Israel including Egypt, Iraq and Lebanon and silencing others including Jordan and Saudi Arabia, the belief of Americans that Israel is the "brave, little country" -- all of this is evident and clear and would not be there were it not for US support of Israel! If the US had chosen Arab rights and needs over Zionists, Israel would hardly exist in any form or maybe as a diminutive enclave. Without US support, the economy would have collapsed decades ago. Without US support, Israel would have lost 73 completely as only rearmament saved Israel at all. Without US support, Israel would never have been admitted to the UN and would have quickly been the object of embargoes and boycotts worldwide. You are literally out of your head to persist with this fantasy, this typical Zionist fantasy that even the US is, as you all like to say, "anti-semitic." I am really sick of this addled insistence on something so evidently untrue to anybody with eyes and a something of a brain!! You can thank your G*d that the US protects Israel at every turn because, I assure you, I work every day toward reversing that policy 180 degrees. Mr. Davey...you finally admit, not that I didn't notice before, working every day for the USA to drop Israel. Which means you in fact hope together with the Arabs and global anti-Semites for Israel's disappearance. You further seem to question the right of the Jews to have a state of their own and even seem to suggest the land belonged to the Arabs which the Jews may have stole from them! How ridiculous is that? Your lack of knowledge of history, disreard of the facts and personal hostility seem to prevent you to rationally understand the subject. This piece of land had been occupied by scores of invaders and occupiers. The Ottoman Empire held on to it for 500 years. Nobody else but the Jews ever had any historical, national and spiritual linkage to it. Fact acknowledged by everyone during history. For instance Napoleon wanted to re-install the Jewish state already in 1799..later recognized and legalized by the League of Nations in the early 1920's. By the way the same League of Nations also artificially created several Arabs countries..which did not exist before nor belonged to any specific or recognized owner. What could possibly be wrong by giving the Jews their historic, spiritual and ancient land back..since the Arabs for their part received the lion share of the Middle-East land mass for any fundamental reason. The land put aside for the restauration of the Jewish National homeland was further artificially and illegally reduced by the British to give it to an Arab king from Arabia to created Trans-Jordan (nowedays Jordan)...and there is no escape to it anti-Zionism is anti-Sionism in disguise for anyone who deny the fundamental right of the Jews on their ancient homeland is an anti-Semite! Furthermore to keep a half-century old controversial "mishap" alive can only be motivated by a personal, pathological hatred for the Jews..if that is not anti-Semitism..what is? Nope. The Jews (and I am one, silly you!) had no right to Palestine based upon stories from antiquity. But even if we grant the right, the behavior of the Zionists has been thoroughly disreputable and indefensible, goniffing 78% of Palestine and then taking the remaining 22%, kicking out all the natives, and then having the gall to be sanctimonious about it, like you. Zionism should disappear and I work for that every single day. Jews are not entitled to other people's property, no matter what you say, no matter what peculiar history you present. If Jews want a homeland in Palestine they have to share it with the natives: After all, what's important here? That Jews be settled in the Holy Land or that they have all the political power in this land? Zionism made the mistake of not settling properly with the natives in the first place. Zionism has rejected peace again and again. So now it has 100% of Palestine and the enmity of the entire world. Why should 5 million people own all of Palestine, in the heart of millions and millions of Arab inhabitants? For what? The crimes of Zionism will not be forgotten. As for Jews, many support Zionism, but not so many. If we look hard at it, it is clear that a handful of wealthy Jews have had a big hand in financing the Zionist project. The participation of the average American Jew is not a given. And your cry of "anti-semitism" is typical Zionist defense. Any criticism, any revulsion at Israel's terrorism, is deemed anti-semitism. Someday, this facile defense will turn very sour for Israel. A Jewish state has nothing to do with Judaism and I personally think it's a very bad idea. Your ideas about the Liberty incident are ridiculous. Michael Dar - you need to stop wriggling. You admitted that Israel set out to sink a US ship. Then you demand "not a single of the various comments answered my questions like for instance: What did an "unidentified" fast sailing ship do in that war zone without previous coordination with Israel? Well I'll tell you.. spying on Israel, informing the Arabs on the Israeli Army's movements...and that is not a conspiracy theory!" You've answered your own question and confirmed what you said first, Israel indeed set out to sink a US ship. Now we have that straight, how should the US treat Israel? As a terrorist rogue nation that cannot be trusted? As a matter of fact I don't really know if Israel attacked the Liberty intentionally. If yes Israel must have done so for very good reasons. Why would Israel have taken the risk of alienate the US in the middle of a conflict in which Israel needed if not sympathy at least some political support. One thing is sure, the US and Israel arrived at the same conclusions namely a tragic event due to a mistaken identy. Well, what do you think, did the Liberty spy on Israel's troop movements helping the Arabs yes or not? If yes, what would have been, in your opinion, an appropriate and legitimate response from Israel? If not what did the Liberty than do in a war zone (navigating at full speed with non or vague regular-normal identification procedures)..without coordination with the Israeli authorities? It is obvious that the Liberty was on some "secret" mission and did not wanted to be discovered. Under such suspicious circumstances and during an ongoing war every country would have attack the "phantom ship". Michael Dar - speak nicely to Alan Hart and I'm sure he'll let you edit away your inadvertent slip. But please don't pretend that you don't know the truth and we don't know the truth. Lots of other Israelis have spoken openly, including the pilots (at least, until they were threatened). To answer your question, yes the US was spying on Israel, no, they were not sharing information with even an innocent third party. Obviously the lives of 34 Americans is worth less than that of one Israeli, Jonathan Pollard - who shared his information with enemies of the US, costing the lives of 100s of friends of America. So there's a statute of limitations when Israelis commit mass-murders but no such limit on Ukrainians like John Demjanjuk prosecuted 60 years later - strange, don't you think? Dar -- There is something a little dense about saying "....must have had a good reason." It is the "reason" that is the issue here and you assume it must have been "good." Certainly, it was "good" from the Dayan standpoint. From any other standpoint, it was not good at all. Israelis took hours and hours to identify the vessel and once confirmed attacked in excess. You suggest that Israelis would be careful careful regarding the relationship with the US and yet they attacked all out. If they would worry about the US, then even if the vessel was not coordinated with Israel, Israel could have coordinated with it, no? But chose not to! Chose instead to sink it and kill them all. So, you are very mixed up and haven't anything left. Michael Dar - give it up. You can either defend the widely reported murder of 1000 or so civilians and POWs - or you can defend inventing a statute of limitations that protects Israelis but does not protect Ukrainians. Don't try to do both. Best of all, don't try to retract the admission you made that Israel intended to sink a US ship (leaving no survivors). The sole purpose of my intervention in this discussion was meant to ask some questions and to try to find some rational explanation to the Liberty mishap. And not take the conspiracy theories and hate-filled arguments for granted. My conclusion still is that both sides as well as the particular circumstances of the hour are all equality to blame for what happen. You on the other hand pursue an agenda far beyound the Liberty affair...based on you obvious dislike of the Jews and Israel..this transpires from every single sentense of yours. First -- I didn't say they "needed" hours and hours: I said they "took" this time. Get it right. Secondly, I am not fighting with you about morality in general (someone else is), but I don't mind adding that in this department the Zionists are liable to the hilt, from the gitgo and ever after. If Zionists didn't simply slaughter their enemies wholesale it was for the very good reason that there were observers and they would have to answer for it without question and it would be very bad press. It was not a decision born of moral qualms as the record demonstrates convincingly that the IDF and the government have never had any qualms about anything only concerns about public opinion. And you haven't answer why Israel did not make any effort to "coordinate" with this allied vessel. Rather than attributing this absence to Americans, what about Israel. Why didn't they ask if that was an American ship and what was it doing there? There is no record of any inquiry whatsoever. So give it up. Zionism never had a golden era, it was always rancid because it is a big fat lie and now everybody is finally figuring it out. "Zionism never had a golden era, it was always rancid because it is a big fat lie and now everybody is finally figuring it out." I wish that were true about everyone figuring it out. I do talk with other people that I have never ever met in my life and talk about this, but after doing so, not one of them gives a sh-t. All of this can be right in our faces and millions choose not to look at it. Those Zionist in our government will make sure that a false story is fed to the U.S. public, and they will swallow it without question and still allow the government to give billions to that little piece of crap in the Middle East. I do believe that those in the government of Israel have threatened other nations with an attack by nuclear weapons which makes those leaders of that nation to follow the dictates of those in charge of the government of Isreal. Obama may be the worst president in U.S. history, but I hope with all my heart that he is showing he has some balls and letting the nastry little place know that this nation is not following everything coming out of the mouth of Bibi. - Beware. The book of Revelation does mention people that call themselves Jews but are not. I beleive we are seeing who those people are. After reading more comments, only one thing comes ot mind. Let the ignorant be ignorant still. All of us reading these comments know whom that person is so I need not mention the name. JamesAt17 -- You're not really 17 are you? If you are, you are very very precocious. Please note that Obama/Clinton are not likely to call out the Zionist liars if Israel and this country, cut their foreign aid or anything of the kind. I had that fantasy for a while as well but my cumulative impression that it will not happen. Obama is an egotist and loves power not justice, same for Clinton, so I think you are whistling in the dark about that. I do get the impression that more Americans are coming round to questioning, talking about, investigating and therefore ultimately loathing Bibi, AIPAC and every human piece of that machinery. But Obama is not one of them. And then I am actively involved in opposition, so I may not be a good judge of average sentiment in the US. Dar -- The Liberty "mishap" is replete with unexplained established facts. It is not appropriate that it be glossed over as just another unfortunate event in the fog of war. That is not sufficient for the 34 Americans died from the assault. The inability of the US and Israel to explain these facts leads one naturally to suspect that more is at play here. The absence of thorough-going investigation and, most importantly, the testimony of the survivors do not merely "suggest" a deliberate assault but depict such an assault vividly, testimonies inconsistent with official reports. Americans want answers to the outstanding questions including why President Johnson called back fighters sent to assist that vessel, why the virtually destroyed vessel was pummeled further after the vicious air assault by naval vessels of the State of Israel, i.e. why the destroyed vessel was targeted beyond the point of its destruction and the loss of life, when it was absolutely dead for any practical purpose etc. etc. The construction that suggests that every angry outcry about this matter is an assault on Israel or on Jews (! )is the vilest part of the whole thing, but it is the characteristic defensive pose of Israel. This is not about Jews or that crappy state, it is about an unwarranted attack on an unarmed American vessel and its defenseless servicemen. When you understand this FIRST, and stop that mulling puking carp about "Jews," you will begin to understand why in any event whatever -- if it takes another half century -- Israel will pay dearly for this attack and for the dalliance of that hyped up poseur Moshe Dayan.